With Hurricane Irma being the most powerful (Atlantic) storm in recorded history heading towards the mainland US, many people are worried about what is next. After rolling over the islands of Antigua and Barbuda on Tuesday and into Wednesday, the massive category 5 storm is set to hit the Dominican Republic and Haiti on Thursday. Ultimately moving toward Florida on Friday and slamming Miami over the weekend. 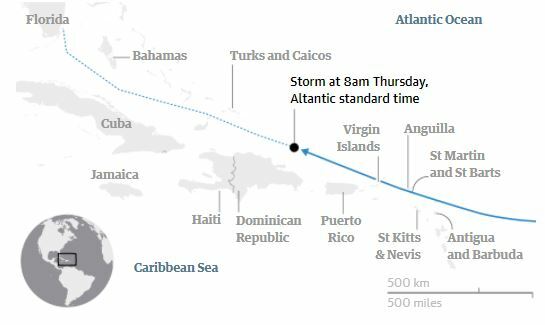 The massive storm has already caused major damage and loss of life to the Caribbean. The storm hit parts of the Caribbean islands on Wednesday with heavy rain and powerful winds. As the most powerful Atlantic Ocean hurricane in recorded history, we expect much more damage to come. With the expected path of Irma to be cutting North right before it hits the tip of Florida, that is cutting it very close for many Floridians. Whether you live in Fort Lauderdale, the Florida Keys or Panama City Beach – you should be nervous and seriously thinking about evacuating. Needless to say, even with the improvements in hurricane tracking, Hurricane Irma is giving the supercomputers a run for their money. It won’t take much of a deviation in its current trajectory to have massive implications to the waterfront condos in Florida. Although some have chosen to evacuate, we are seeing an unusual amount of Florida residents planning to ride out the storm. On Friday in the evening time, the massive hurricane is expected to make landfall near the archipelago of the Florida Keys. The governor of Florida, Rick Scott has ordered an evacuation. As we know from previous storms, the path could change at any time — but most forecasts predict pretty similar outcomes. 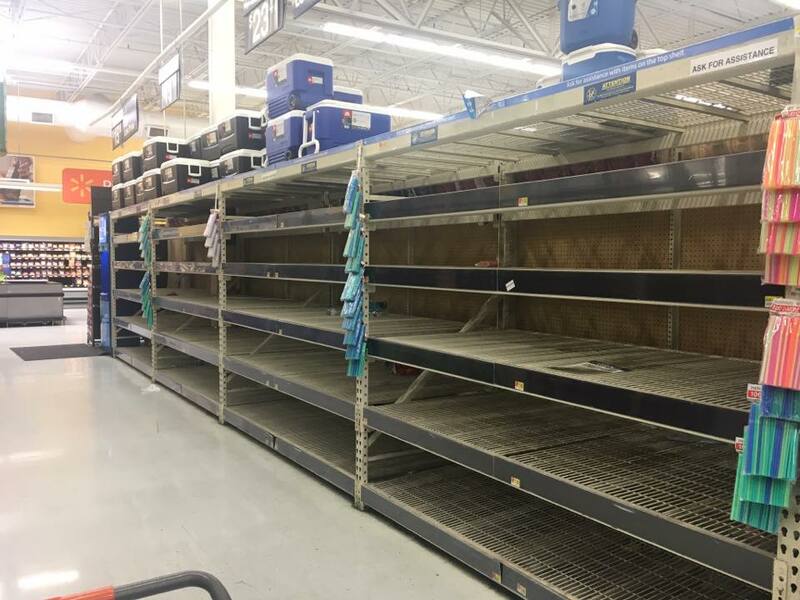 As of this point, supplies for hunkering down for the storm, are running low in Florida. Here is a picture taken from the water isle in a major store in Panama City Beach. We will be following the path of Hurricane Irma and will be updating THIS URL over the next days as Hurricane Irma makes landfall in the US. With rain and winds most of the night but waking up to sunny skies, many Louisianans are feeling that we have missed a bullet with Tropical Storm Cindy. Truth is… The storm has yet to make landfall. Louisiana Governor John Bel Edwards issued a statewide State of Emergency Declaration Wednesday morning as preparations for severe flooding were underway. As time progresses, Tropical Storm Cindy looks to be a major rain event. Some tornadoes have been spotted in Mississippi and a water spout over the Mississippi Gulf Coast waters. As of now, we have not seen any major flooding in Louisiana, but we are anticipating much more rain over the next 48 hours. We will continue to update this page as the storm progresses providing updates on flooding in Louisiana, road closures and housing shelter options. Tropical Storm City is currently heading toward Louisiana with anticipated heavy winds and rainfall. The storm is moving very slowly, which means it has the possibility of gaining in strength over the warm waters in the Gulf of Mexico. Although no one truly knows exactly where the tropical storm will make landfall, Louisiana will surely see a lot of rain over the next few days. With many of the predictions of Tropical Storm Cindy making landfall to the west of Louisiana, we anticipate seeing a tremendous amount of rain and potential flooding. With the “worst part” of the storm being directly to the East of where the storm makes landfall, we could see major disruptions in the Louisiana economy including flooding, property damage and loss of work for many Louisianans. 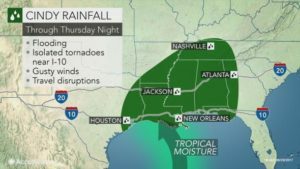 Rainfall is anticipated to reach six to twelve inches or more across Louisiana with the possibility of up to twenty inches of rainfall if the storm continues to move slowly and gain in strength over the warm waters of the Gulf of Mexico. Tropical Storm Cindy is expected to make landfall Wednesday night or Thursday morning. Anyone in affected areas should be extremely diligent in there preparations. Louisiana has seen its share of destructive weather. Many industries are affected by tropical storms and hurricanes, especially in Southern Louisiana. The Southern most part of the state is extremely vulnerable to major disruptions. Charter fisherman out of Venice have been securing their boats and hoping for the best. Storm surges, in the cities such as Venice LA, can have a devastating effect on the fragile economy. HEAVY RAINFALL: Cindy is expected to produce rain in excess of six to nine inches with isolated maximum amounts of over twelve inches over southeastern Louisiana through Thursday. This rainfall could cause life-threatening flash flooding in these areas. Rainfall amounts of 3 to 5 inches with isolated maximum amounts of 6 inches can be expected farther west across southwest Louisiana into southeast Texas through Thursday. 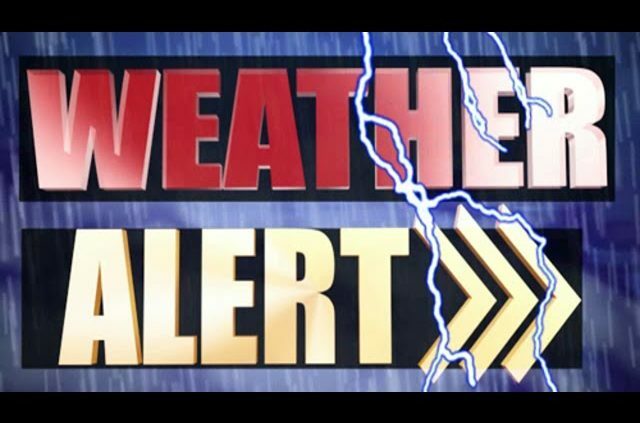 DAMAGING WIND: Tropical storm conditions are expected to first reach the coast within the warning area later tonight and spread westward within the warning area through early Thursday. STORM SURGE: Inundation of 1 to 3 feet above ground level is likely, especially in the coastal areas of Louisiana such as Venice La and along the coast in portions of the Tropical Storm Warning area. TORNADOES: Isolated tornadoes are possible this evening and tonight from south-central Louisiana to the western Florida Panhandle. Not only do the winds, flooding and hail bring tremendous damage, but in many instances of tropical weather include tornadoes spawned by the storm. Tornadoes from tropical weather knock down power lines, tree limbs and usually cause power outages in their wake. In can take days or even weeks to restore power to the affected areas. We will do our best to keep you informed of the ongoing storm and its repercussions. All should have emergency numbers and websites ready…just in case. The National Hurricane Center is a great source of real time information as are some of the local media outlets. You can track the store with the local Fox affiliate here. Where Will The $1.3 Billion Go? Those of us who had to borrow money from the U.S. Small Business Administration (SBA) to rebuild our homes after the catastrophic August flood as of now, are not getting government funds to help pay off that debt. As we stood in the stifling heat, under the Federal Emergency Management Agency (FEMA) tents, we wanted advice. Good advice. We did what FEMA said to do. FEMA adjusters came out, some FEMA money was paid out, then we were advised to go the SBA route to borrow the money to complete the repairs on our homes. Thirty year loans now attached to our already first mortgages, and no help in sight. That was the word Monday, February 6th, 2017, during a public hearing at the Baton Rouge Community College’s Mid-City campus. As of now, the plan prioritizes low- to moderate-income households that are outside the 100-year floodplain, and did not have flood insurance. These include households that have disabled family members and got at least a foot of water. 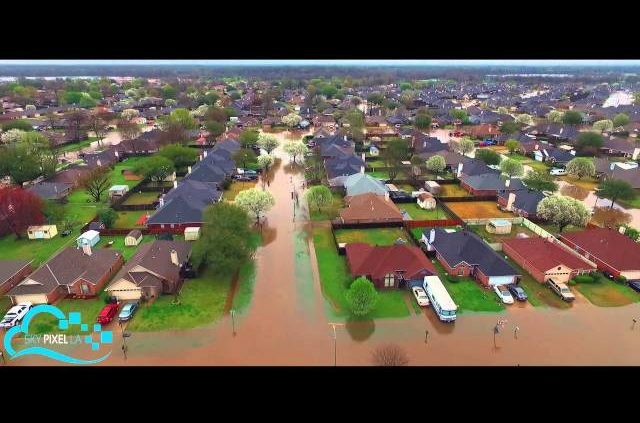 The funding will help an estimated 36,000 households statewide for the floods in March, and the most recent catastrophic flooding in August, 2016. Those who live in the 100-year-flood plain, many in the Sherwood Forest area, are now staring at 30-year loans. People in their mid 50’s & 60’s are not going to be financially able to absorb this additional payments, and plan to retire. These are part of the middle class that government aid programs often overlook. The federal government considers the loans a “grant” and a benefit that cannot be duplicated under the law. Though Gov. 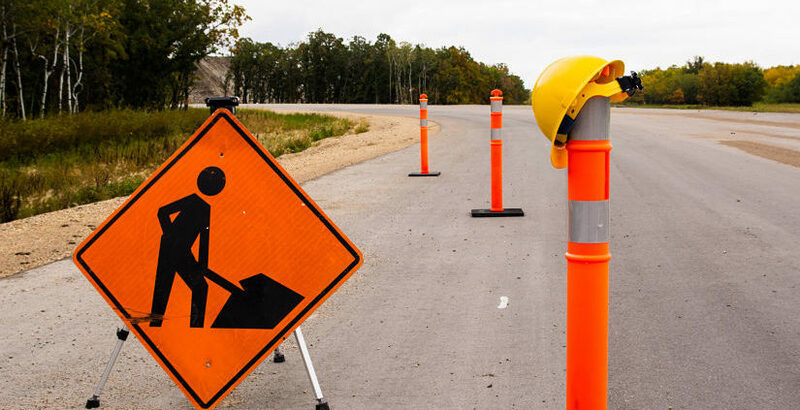 John Bel Edwards is seeking changes to that, and other limitations imposed on the plan, by the U.S. Department of Housing and Development and the federal law. The SBA piece continues to cause frustration to us since it IS a loan, it is not a grant. The governor is asking for a reversal of that. The governor said Congress allowed repayment of SBA loans after Hurricane Katrina, through special programs, but that is the only example officials know of. The state plan sets aside $1.3 billion for homeowner programs, that is still $2 billion less than what Edwards had asked Congress for last year. The result, the program has had to narrow who is eligible. The initial plan in December had even tighter restrictions. State officials heard from residents during an earlier round of public comments that the state needs to provide more funds to the people. This plan will offer some reimbursement of out-of-pocket flood recovery expenses. With the funds available, and the plans to distribute these funds, the middle class will be out of luck-again. Nobody is going to deny that funds to the elderly, disabled and low income need to be a priority, but we can’t help but feel penalized for following the instructions of FEMA early on. It is a wait and see now. President Trump toured our area and gave out supplies during his visit. Hopefully, we are still at the forefront of a very busy President’s mind in his first 100 days in office. With all of the homes that have flooded, we have seen many previous homeowners scramble to find a suitable place to live while they rebuild. Many people are being forced to commute back to their jobs in the area from hours away. 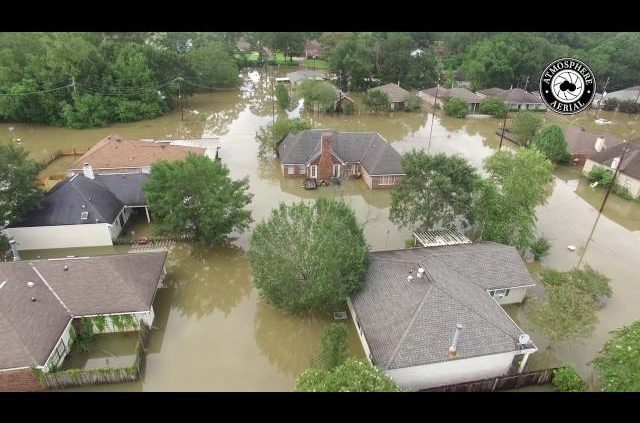 One of the places that has seen an influx of renters and home buyers due to the flood is Picayune MS. With the inexpensive home prices and the relative proximity to the flooded area, Picayune homes have seen a spike in home sales. 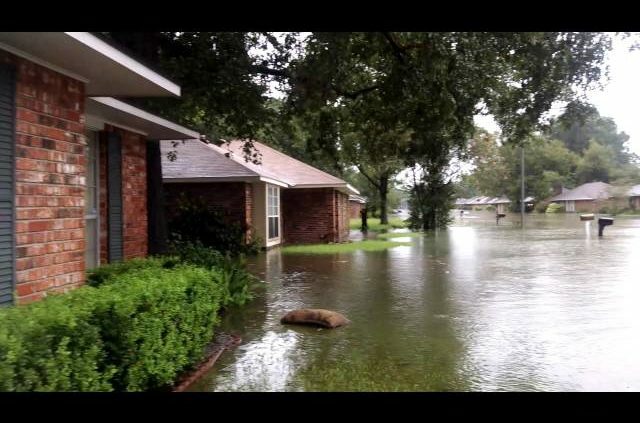 Other areas that have seen a spike in home sales due to flooded homeowners needing to temporarily relocate is Slidell LA and some other smaller towns around the area. Contact Brett Adair with Live Storms Media to license. 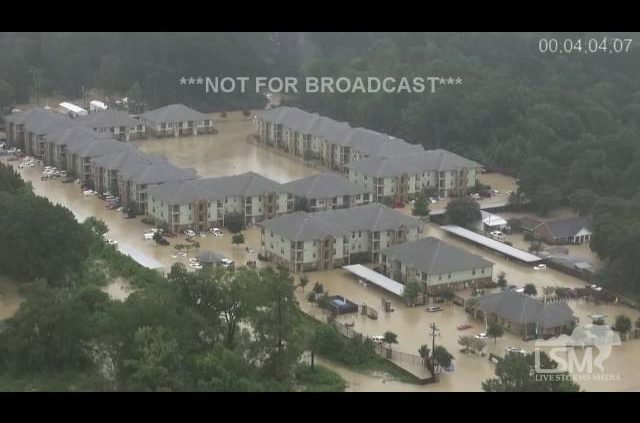 More incredible aerial flooding video coming out of Louisiana. Catastrophic situation down there! The flood waters have pretty much consumed everything for miles. Homes, vehicles and more under water. 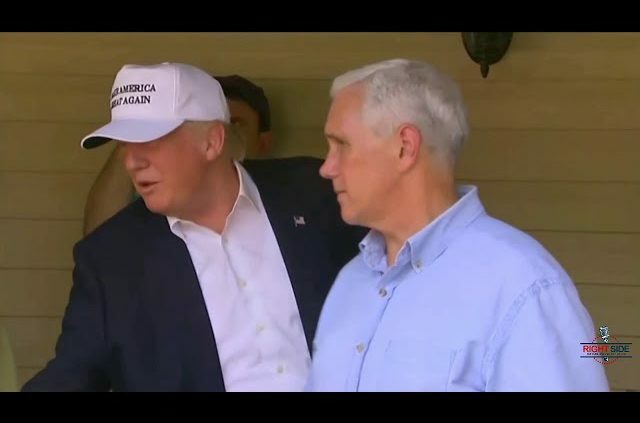 Louisiana: Donald Trump y Mike Pence visitaron este de Baton Rouge y parroquias de la Ascensión y distribuyeron suministros de alimentos traídos por un camión en las zonas afectadas por las inundaciones. Trump fue recibido por una iglesia Bautista y casas visitadas dañado en la inundación. El presidente Obama y Hillary Clinton no han llegado todavía. La noticia de Estados Unidos: La política y la elección presidencial. 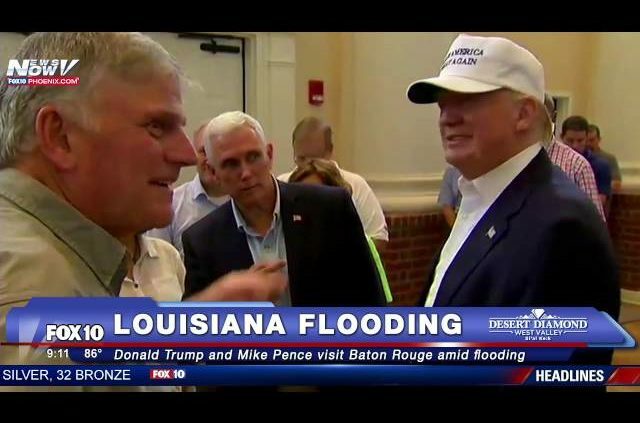 Louisiane: Donald Trump et Mike Pence visité East Baton Rouge et paroisses de l’Ascension et remis des vivres apportés par un camion dans les zones ravagées par les inondations. Trump a été accueilli par une église baptiste et les maisons visitées endommagé des inondations. Le président Obama et Hillary Clinton sont pas encore arrivés. Les nouvelles des États-Unis: La politique et l’élection présidentielle. Louisiana: Donald Trump und Mike Pence besuchten East Baton Rouge und Ascension Pfarreien und verteilte Nahrungsmittelversorgung von einem Lastwagen in der Flut verwüsteten Gebiete gebracht. Trump wurde von einer Baptistenkirche und besuchte Häuser Überschwemmungen beschädigt begrüßt. Präsident Obama und Hillary Clinton haben noch nicht angekommen. Die US-Nachrichten: Politik und Präsidentschaftswahlen . 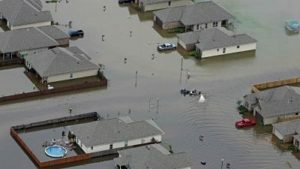 Louisiana: Donald Trump bezocht East Baton Rouge en uitgedeeld voedselvoorziening gebracht door een vrachtwagen aan de door overstromingen geteisterde gebieden. Trump werd verwelkomd door een Baptistenkerk en bezocht huizen beschadigd overstromingen. President Obama en Hillary Clinton zijn er nog niet. Het nieuws van de VS Politiek en presidentsverkiezingen. Louisiana: Donald Trump ha visitato East Baton Rouge e distribuito scorte di cibo portato da un camion alle zone inondabili-devastato. Trump è stato accolto da una chiesa battista e case visitati danneggiato in inondazioni. Il presidente Obama e Hillary Clinton non sono ancora arrivati. La notizia degli Stati Uniti: Politica e l’elezione del Presidente della Repubblica. Louisiana: Donald Trump visitou East Baton Rouge e distribuiu suprimentos de alimentos trazidos por um caminhão às áreas devastadas pelas cheias. Trump foi recebido por uma igreja Batista e casas visitadas danificado de inundação. Presidente Obama e Hillary Clinton ainda não chegaram. As notícias dos EUA: Política e eleição presidencial. Luizjana: Donald Trump odwiedził East Baton Rouge i rozdawane aprowizacj wniesionych przez ciężarówkę do obszarów zniszczonych powodzią. Trump został przyjęty przez Chrzciciela i odwiedził domów uszkodzonych w powodzi. Prezydent Obama i Hillary Clinton jeszcze nie przybył. US News: Polityka i wybory prezydenckie. Louisiana: Donald Trump besökte East Baton Rouge och delade ut livsmedel som väcks av en lastbil till översvämningsdrabbade områden. Trump välkomnades av en baptistförsamling och besökta hem skadade i översvämningar. President Obama och Hillary Clinton har inte kommit ännu. US News: Politik och presidentval. Louisiana: Donald Trump besøkte East Baton Rouge og delte ut mat forsyninger brakt av en lastebil til de flomherjede områdene. Trump ble ønsket velkommen av en baptistkirke og besøkte hjemmene ødelagt i flom. President Obama og Hillary Clinton har ikke kommet ennå. Den amerikanske nyhets: Politikk og presidentvalget. Louisiana: Donald Trump kävi East Baton Rouge ja jakoivat elintarvikehuollon tuoma kuorma tulva runtelemaan alueilla. Trump oli tervetullut baptistikirkossa ja kävi kodeissa vaurioitunut tulvia. Presidentti Obama ja Hillary Clinton ei ole vielä saapunut. Yhdysvaltain uutiset: politiikka ja presidentinvaaleissa. Луизиана: Дональд Трамп и Майк Пенс посетил Восточный Батон-Руж и раздают продовольствие, привезенные на грузовике в опустошенных районах. был встречен баптистской церкви и посетили дома повреждены наводнения. Президент Обама и Хиллари Клинтон еще не прибыли. Новости США: Политика и выборы президента. زار دونالد ترامب لويزيانا ووزعوا المواد الغذائية التي رفعتها شاحنة إلى المناطق التي اجتاحتها الفيضانات. وكان في استقبال رابحة من قبل الكنيسة المعمدانية والمنازل زار تضررت في الفيضانات. والرئيس أوباما وهيلاري كلينتون لم يصل بعد. الأخبار الولايات المتحدة: السياسة والانتخابات الرئاسية. 루이지애나 : 도널드 트럼프와 마이크 펜스 이스트 배턴 루지와 승천 본당을 방문하여 홍수 피해를 입은 지역에 트럭으로 가져 식량 공급을 주었다. 트럼프는 침례 교회 환영하고 방문 가정은 홍수에 손상. 오바마 대통령과 힐러리 클린턴은 아직 도착하지 않았습니다. 미국 뉴스 : 정치와 대통령 선거. 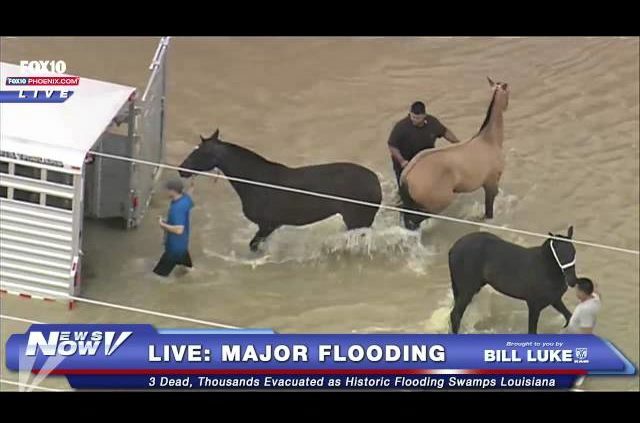 Historic rains have led to widespread flooding in Louisiana. Satellite photography of before and after the flooding shows the extent of the disaster. Weather Alert!! 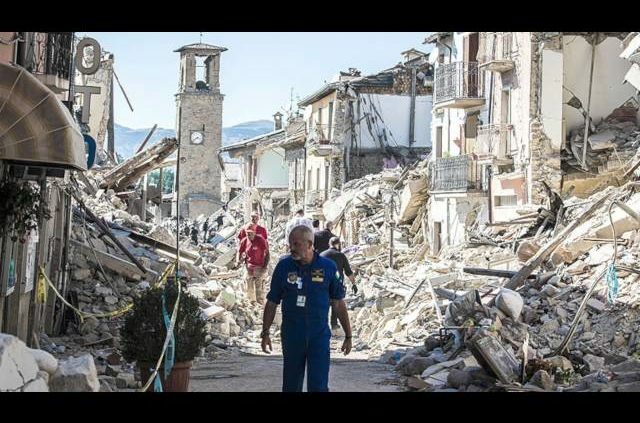 State Of Emergency, Massive Flooding, Unusual Volcanic Activity, And Much More!!! As of Friday, August 12th, 2016, the Governor of Louisiana, John Bel Edwards, has declared a state of emergency for the entire state due to all of the flooding in this region. The declaration is set to last until Saturday, September 10th, 2016, until further notice… Lasting close to a month. Louisiana is also not the only state to experience severe flooding. During this weekend and early next week, flooding is expected in regions such as the Great Lakes, Deep South, Ohio Valley, and even major cities such as Chicago, IL, Louisville, KY, Baton Rouge, LA, along with many others. And that’s not all!!!! Recently, a 7.2 major earthquake has struck near the coast of Vanuatu, affecting areas such as New Caledonia, Fiji, and many other Pacific islands. Although no tsunami warning was issued, this earthquake has had very powerful aftershocks as well. Speaking of the Pacific islands, lately there’s been very unusual volcanic activity in this region — deemed the “Ring of Fire.” In Indonesia alone, three different volcanoes erupted within three days (Sinabung, Rinjani, and Gamalama). And, in Mexico, one of the most dangerous volcanoes (Popocatepetl) has sputtered ashes throughout the country — with potential to affect up to millions of residents in the Mexico City area. Couple all of this with the unprecedented wildfires in California and other parts of Southwestern U.S., and something very strange is going on indeed. But just WHAT could be that something?!?! PAY ATTENTION TO THE WORLD AROUND YOU! AND SEE JUST HOW WORSE THINGS ARE REALLY GETTING!!! PLEASE SEEK YAHUAH AND HIS TRUE SON YAHUSHA — WHILE YOU STILL CAN!!!!!!! ALSO SEE — Ring Of Fire Volcanoes! ALSO SEE — Things Are Heating Up! http://louisianaflooding.org/wp-content/uploads/2016/10/weather-alert-state-of-emergency.jpg 480 640 admin http://louisianaflooding.org/wp-content/uploads/2016/08/Louisian-Flooding-Logo.png admin2016-10-16 21:13:132016-10-16 21:13:13Weather Alert!! State Of Emergency, Massive Flooding, Unusual Volcanic Activity, And Much More!!! 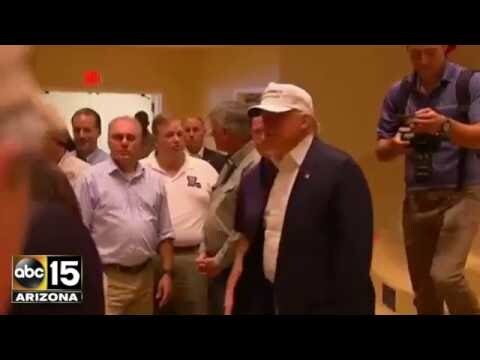 Donald Trump is in Baton Rouge, Louisiana to tour flood-damaged neighborhoods. Trump landed Friday morning at the Baton Rouge airport and was met on the tarmac by Republicans Rep. Steve Scalise, Lt. Gov. Billy Nungesser and Attorney General Jeff Landry. The Republican candidate — wearing his signature “Make America Great Again” hat — shook hands briefly with the officials before heading to the motorcade. His running mate, Indiana Gov. Mike Pence, also met Trump at the airport and planned to join on the tour. Trump’s visit comes as his campaign continued to shake up its top ranks. The campaign released a statement Friday morning saying chairman Paul Manafort has resigned. 9:40 a.m. Donald Trump is due to arrive Baton Rouge, Louisiana for a hastily planned tour of the flood-damaged city. 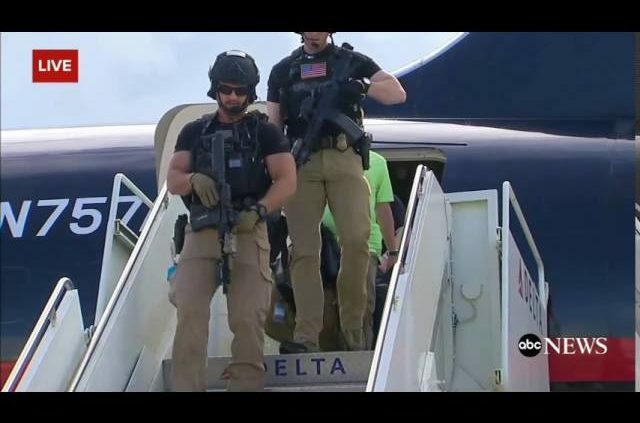 The Republican presidential candidate’s plane was set to land Friday morning at a private facility at the Baron Rouge airport. His running mate, Indiana Gov. Mike Pence, has already arrive and was seen chatting on the tarmac with Louisiana Lt. Gov. Billy Nungesser and Attorney General Jeff Landry. The officials are the highest-ranking Republicans in the state. Louisiana Gov. John Bel Edwards, a Democrat, says he won’t be involved in Trump’s visit. The governor spokesman says Trump was welcome but not for a “photo-op.” Trump is expected to get a look at some of the neighborhoods devastated by flooding. It’s irresponsible for governors and state officials who declare a #FLashFlood State of Emergency, not to understand how the devastating flood happened in the first place. Not when the facts, evidence, and “1,000 year” rain source are right here in front of them. Every week a governor in this country (or somewhere in the world) has to face devastated constituents who have lost their home and life’s worth of belongings, every week the manufactured cause is exactly the same, and every week it is dismissed (misdirected) as “Mother Nature”… clearing the way for the same thing to happen next week without any culpability. 10,000 people are living in shelters because of this manufactured flood. The sheriff of Livingston Parish said 100,000 people have lost everything. How is it – at all possible, that the weekly devastation of Americans and American towns on this scale is not THE number one news story in this country? That’s it. Not even a paragraph’s worth of explanation, and that is no explanation at all. Think I’m kidding? See for yourself. 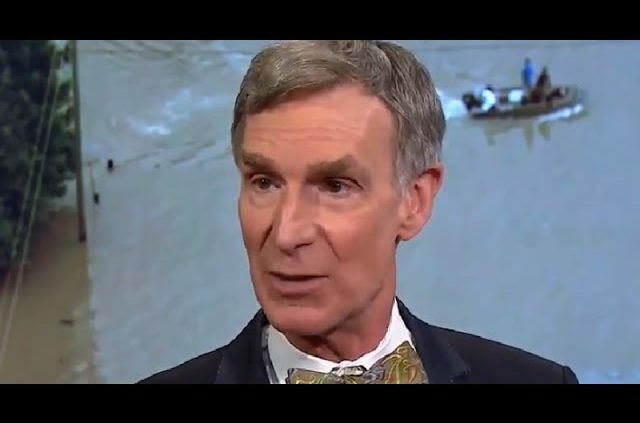 Does this “explain” where the trillions of gallons of water for two “1,000 year” floods in two weeks came from? No… of course it doesn’t. In contrast here I am illustrating point by point, with two days of satellite imagery showing the actual development of the storm, and showing the exact pinpoint locations of In-Place Water Vapor Generation. So, once again. I’ve made this easy enough for a kindergartener to understand. This broad daylight reality – cannot be denied. The failure of local and state officials who have to deal with the aftermath of these events (not to mention “journalists”), to understand why they happened, is the reason it will happen to another community next week. We all still await a single government or law enforcement official with courage, common sense, eyes to see with, and real concern for the constituents he or she serves, to recognize what is right here – in front of them. As always, I’m right here ready and waiting to back them up. FAIR USE NOTICE: This video may contain copyrighted material. Such material is made available for educational purposes only. This constitutes a ‘fair use’ of any such copyrighted material as provided for in Title 17 U.S.C. section 106A-117 of the U.S. Copyright Law. Baton Rouge Flood Sheriff Saves Baby and Family From Flooded Home. 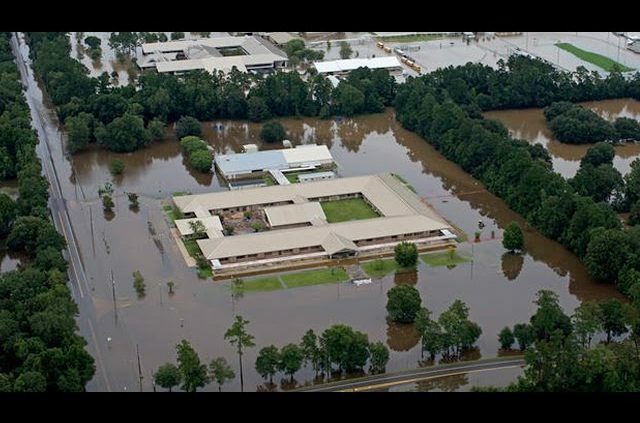 August 13, 2016 – Deadly floods are sweeping through Louisiana. A dramatic rescue in Baton Rouge was captured on video. CBSN’s Reena Ninan has the details. Where Are Black Lives Matter And The Black Panthers During The Baton Rouge Louisiana Flood Crisis? 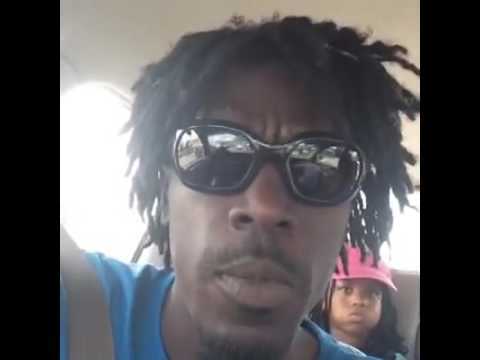 A black man in the Baton Rouge Louisiana area, where there are currently very serious flood, hurricane like conditions, posed a very simple, but often controversial question in a Facebook Live video. He basically asked … “where is Black Lives Matter and the Black Panther Party when we need them?” The man elaborated on his point by saying that those aforementioned groups had no problem showing up en masse, armed, ready to go to war with the police after the shooting of armed suspect Alton Sterling. But when thousands of black people need to be rescued from their homes, when they need food, clothing, and shelter, those groups are nowhere to be found. If black lives really matter, shouldn’t they matter all of the time? That’s the trillion dollar question. And it’s a question more and more black folks are asking. It’s becoming quite clear that these groups aren’t really for the betterment of black America, or America in general. They are funded by George Soros and his ilk to essentially engage in social engineering on a deeper level than the participants of those groups really understand. 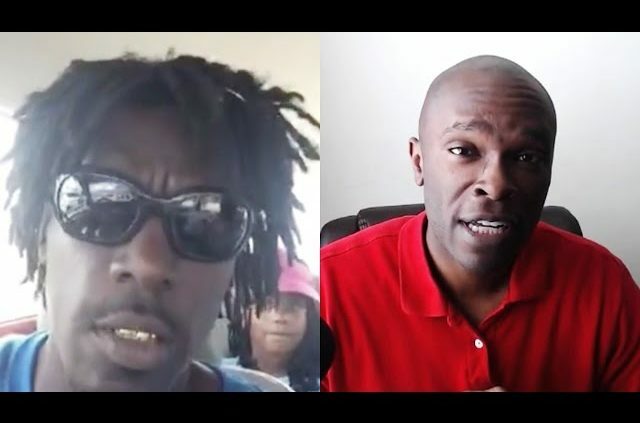 The people involved with Black Lives (LIES) Matter, like the prominent face of the organization DeRay McKesson, may just be in it for a payday and to become famous. Not realizing that they are being used as a pawn in a bigger game. Either way you slice it, those people are not in it for the reasons that they purport themselves to be, which is for the overall betterment of black people. and click on that donate button for me! Stay tuned to my website for more updates as they come in! http://louisianaflooding.org/wp-content/uploads/2016/10/where-are-black-lives-matter-and.jpg 480 640 admin http://louisianaflooding.org/wp-content/uploads/2016/08/Louisian-Flooding-Logo.png admin2016-10-11 10:51:062016-10-11 10:51:06Where Are Black Lives Matter And The Black Panthers During The Baton Rouge Louisiana Flood Crisis? 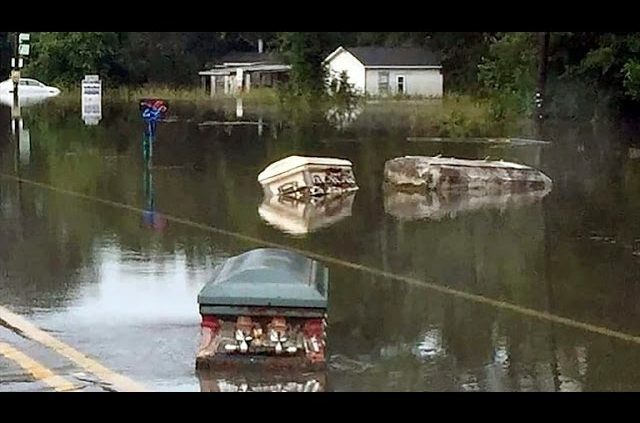 After devastating rain left parts of Louisiana under water, coffins have been seen floating along the flooded streets. Photos capture the eerie scene of the boxes police say floated up from the St. Mark’s Cemetery as a result of high water. The heavy rainfall has left at least five people dead and thousands in shelters, causing the government to declare sections of the state a major disaster. The fast rising floodwater caught many people by surprise that were caught in traffic attempting to leave Louisiana. Inside sources confirmed that Trump has offered to donate to the families affected by the flood that didn’t have flood insurance. Around 80% of the homes affected didn’t have flood insurance because the flood covered such a large area that wasn’t shore line and that had never flooded in the past. Here’s a video of Donald meeting with church leaders and volunteers discussing how most of these home owners will now have to rely on private donations from fellow Americans for help. Please support this channel by embedding the link! Visit to get the products Alex Jones and his family trust, while supporting the growth of our expanding media operation. 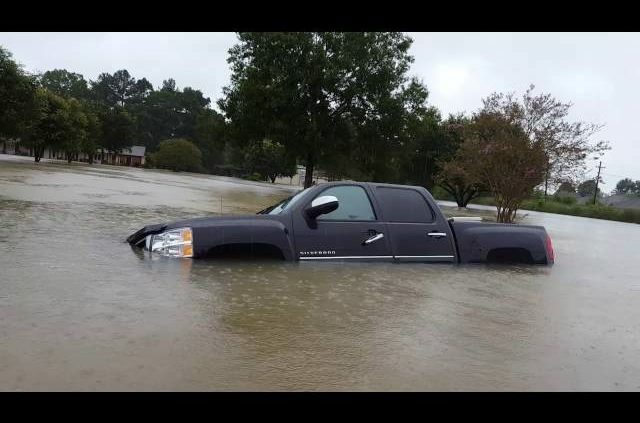 Deadly floods are sweeping through Lousiana. A dramatic rescue in Baton Rouge was captured on video. CBSN’s Reena Ninan has the details. 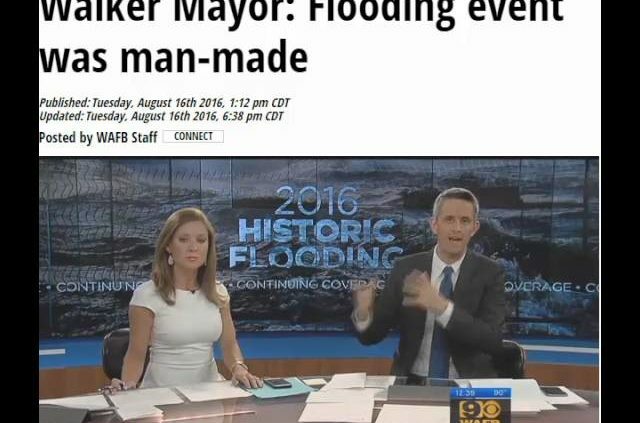 WALKER, LA – The frustrated mayor of Walker, Louisiana said Tuesday that the flooding event in his city was “man-made” and announced plans to file suit against the state of Louisiana and federal government. Walker Mayor Rick Ramsey said a six-foot tall concrete barrier that was put along I-12 when the interstate was expanded last year essentially put the city of Walker “into a bowl” because he said the barrier prevents water from draining out of Walker. The mayor added when the Amite River went up, the floodwater hit that wall and some of the water went toward the Millerville Road area and some went into Walker. Ramsey said he imagines many insurance companies will want to join the potential lawsuit because they now face having to pay billions of dollars in claims for what he believes is negligence on the part of the state and federal government. “I’ve been begging them for three-and-a-half years to give us more drainage under the interstate,” the mayor said. A DOTD spokesman reached by phone early Tuesday afternoon said the agency had no immediate comment about the potential lawsuit. 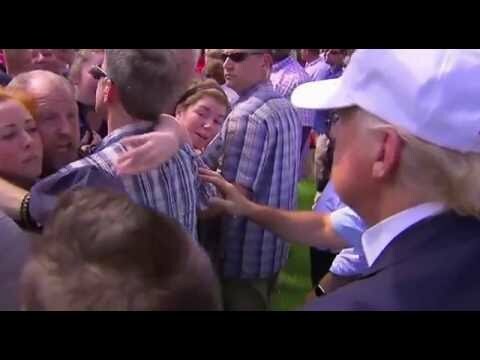 Video Trump brings help to Victims where was Hillary? 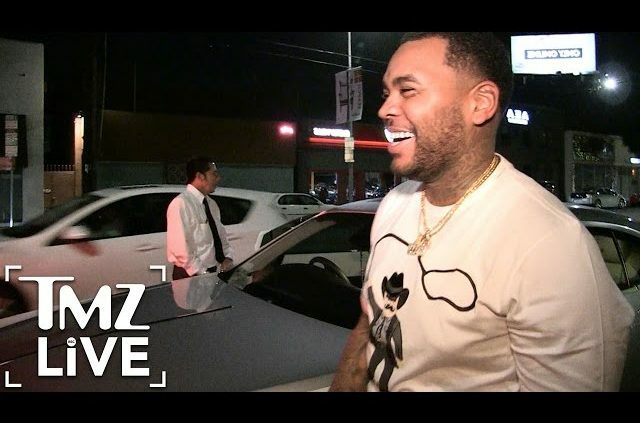 Rapper Kevin Gates invoked a biblical myth for Louisiana residents suffering from actual tragedy. The actor, director and producer is among the tens of thousands of Bayou State residents affected by the Louisiana Flood of 2016. 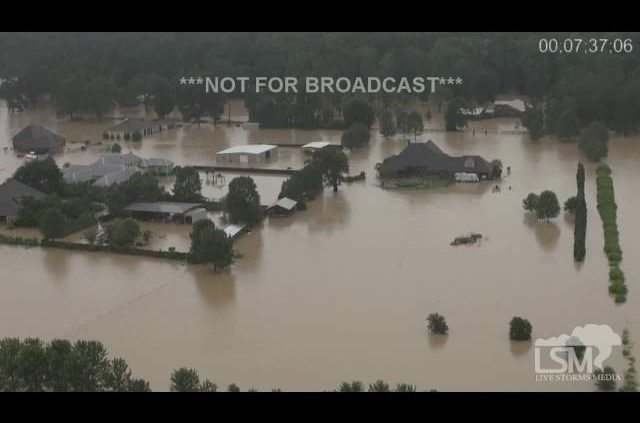 A thousand people were forced to leave their homes early Thursday as a second round of unusually heavy rain hit an already inundated northern Louisiana. The southern part of the state was bracing for heavy rain later in the day. Sixteen Louisiana parishes have declared a state of emergency, and the National Guard was sent in to help. Guard spokesman Rebekah Malone says the Guard evacuated 361 people from homes in Bossier, Ouachita and Morehouse parishes since Wednesday morning, using trucks that can travel though water 20 to 30 inches deep. Sisters Jonetta and Natalie lost their home twice in the past decade; to Hurricane Katrina and again in the recent flooding in Louisiana. 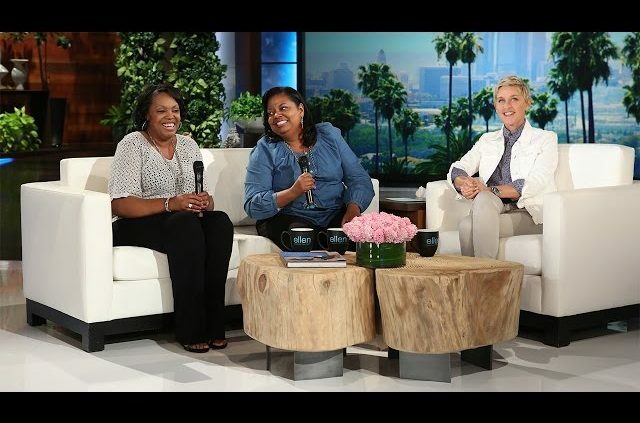 Through it all, they’ve managed to stay positive, and Ellen couldn’t wait to meet them – and give them an amazing surprise! Ellen and fellow Louisianan Britney are helping with relief efforts for the state’s devastating floods. See how their work is affecting one school in particular. The IHNC Lake Borgne Surge Barrier also called the Great Wall of Louisiana is a storm surge barrier constructed near the confluence of and across the Gulf Intracoastal Waterway and the Mississippi River Gulf Outlet near New Orleans. The barrier runs generally north-south from a point just east of Michoud Canal on the north bank of the GIWW and just south of the existing Bayou Bienvenue flood control structure. 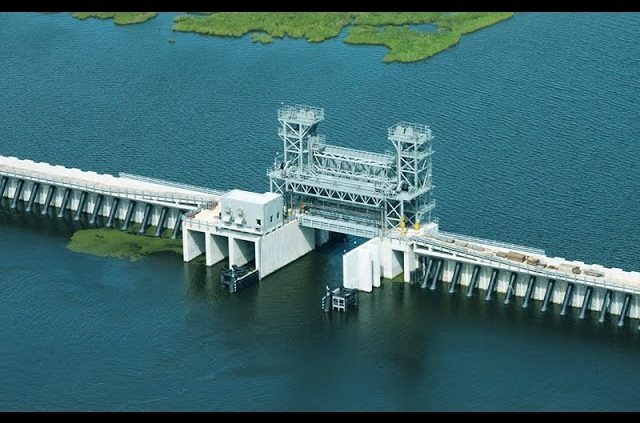 Navigation gates where the barrier crosses the GIWW and Bayou Bienvenue reduce the risk of storm surge coming from Lake Borgne and/or the Gulf of Mexico. Another navigation gate (Seabrook Floodgate) has been constructed in the Seabrook vicinity where the IHNC meets Lake Pontchartrain to block a storm surge from entering the IHNC from the Lake. Extreme flooding is taking place over a large area of Louisiana. Entire neighborhoods and towns are under water. Roads are impassible, people are trapped in their homes. water rescues are being made to those who cannot escape. 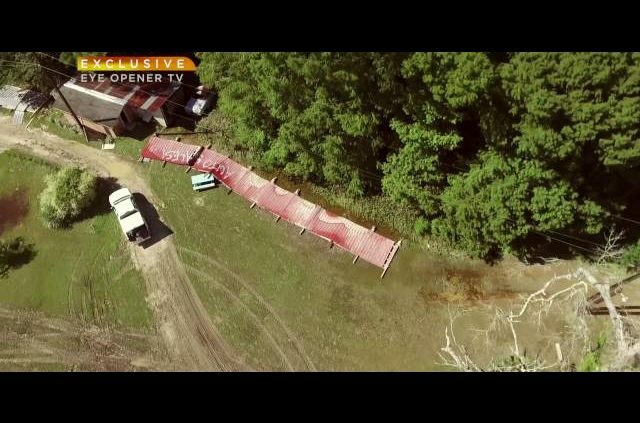 Chopper footage from Brandon Clement truly shows how extensive and extreme the flooding is. Contact Brett Adair to license full video and rates. 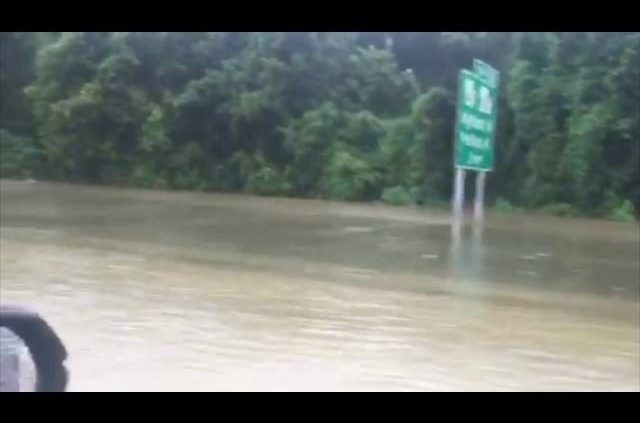 All along the I-10 and I-12 corridor have been hit with devastating flooding. 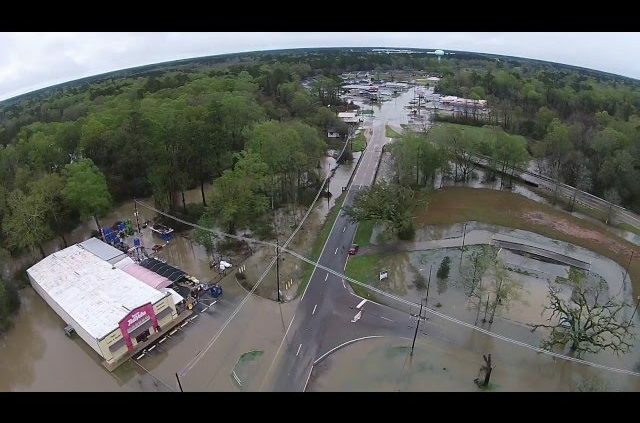 Aerial shots from Central – Walker – East Baton Rouge – Denham Springs, Albany – Zachary – etc. Massive flooding up to the roof of homes at times. Vehicles stood no chance. Record breaking flooding will continue for the next several days along the major river basins. Low lying areas are not expected to recover for a week or more. Damage is catastrophic. Donald Trump and Gov. Mike Pence in Gonzales, Louisiana Friday to survey the flood damage that killed at least 13 people and displaced thousands more. President Obama has declared a state of emergency, as record flooding hits Louisiana. Cenk Uygur, host of The Young Turks, breaks it down. Tell us what you think in the comment section below. “Torrential rains eased Monday in flood-ravaged Louisiana, but forecasters that warned the threat was far from over. One of the dead was an elderly woman in the town of Hinesville, whom authorities hailed as a hero for saving the toddler who was in the car she was driving. Download audio and video of the full two hour show on-demand + the members-only post game show by becoming a member at Your membership supports the day to day operations and is vital for our continued success and growth. 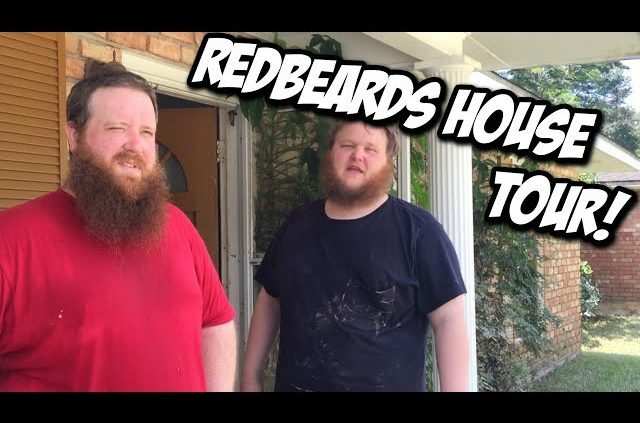 Louisiana Flooding, RedBeard House Tour! As you can see RedBeard lost a lot in the flooding. Anything to help would be much appreciated but don’t feel like you need to donate, your support for the channel is enough! Thank you for sticking with us through these rough times! http://louisianaflooding.org/wp-content/uploads/2016/09/louisiana-flooding-redbeard-hous.jpg 480 640 admin http://louisianaflooding.org/wp-content/uploads/2016/08/Louisian-Flooding-Logo.png admin2016-09-16 21:13:492016-09-16 21:13:49Louisiana Flooding, RedBeard House Tour! 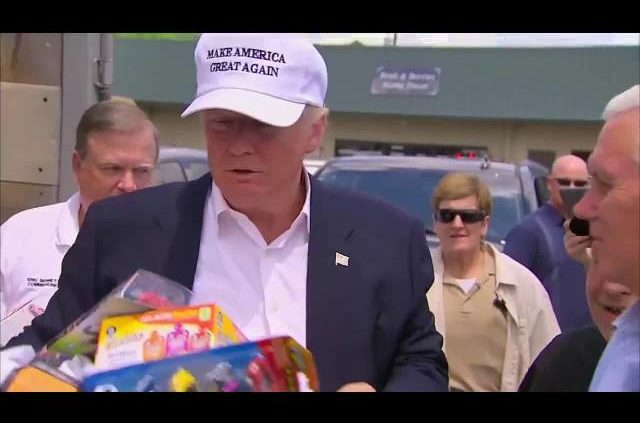 August 19, 2016: After touring flood damage in Baton Rouge, LA, GOP Presidential nominee Donald Trump helped pass out relief supplies for the flood victims. 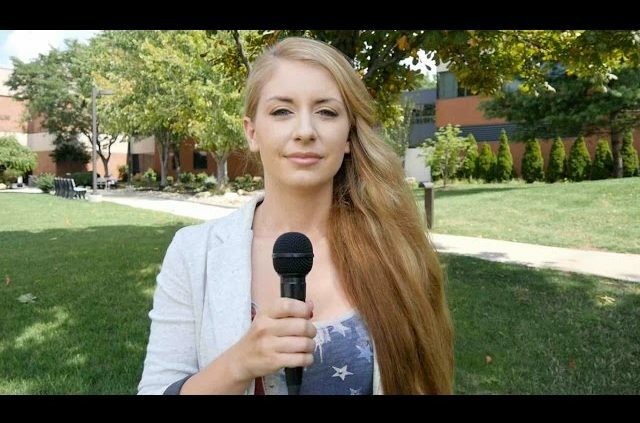 Clip from The Kyle Kulinski Show, which airs live on Blog Talk Radio and Secular Talk Radio Monday – Friday 4:00 – 5:30 PM Eastern time zone. ANY SUPPORT WILL GO TOWARD REBUILDING OUR HOUSE. IT IS MUCH APPRECIATE! THANKS ALL FOR YOUR PRAYER AND COMMENTS. THIS IS THE WORST TIME OF OUR LIFE AND I BELIEVE WE WILL PULL THROUGH THIS WITH YOUR PRAYERS AND HELP. GOD BLESS. GOD LOVES US ALL!!! 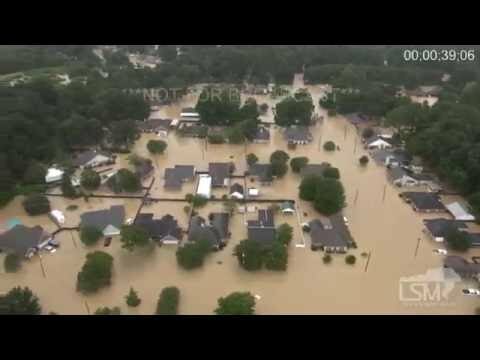 More aerial video of the significant widespread flooding in central Louisiana. Homes under water, vehicles stranded on the highways, forests flooded. Just a mess! 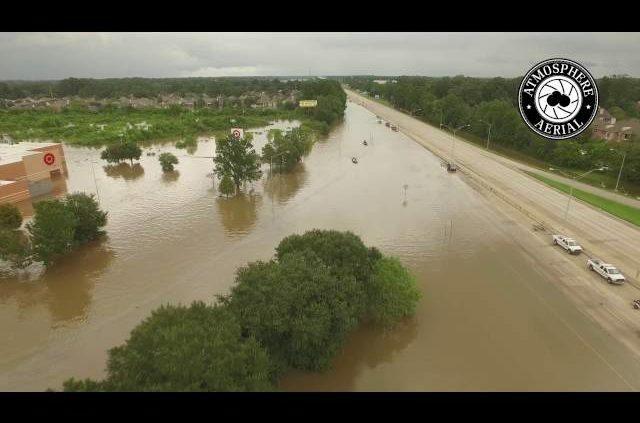 Drone footage from Atmosphere Aerial captured flooding Monday (Aug. 15) near Interstate 12 and Millerville Road in Baton Rouge. Flooding footage in Hammond Louisiana on 3/11/2016. 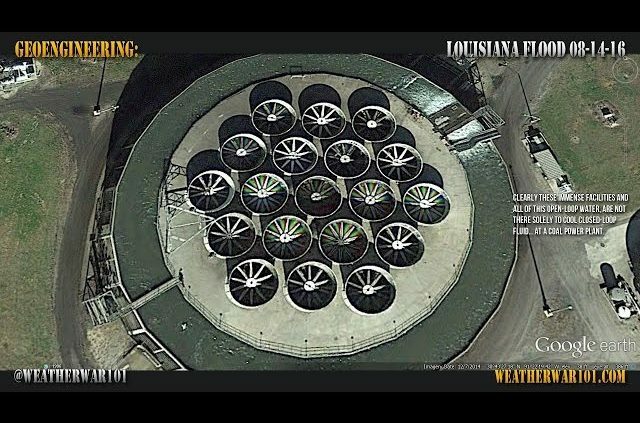 Videos were taken over Southeastern Louisiana University campus and Highway 190 in various locations. 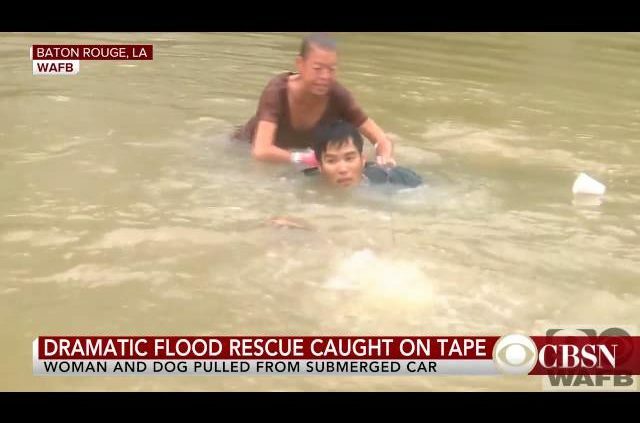 Rescuers pull a woman from her submerged car and dive to rescue her dog from rising flood waters near Baton Rouge, Louisiana. 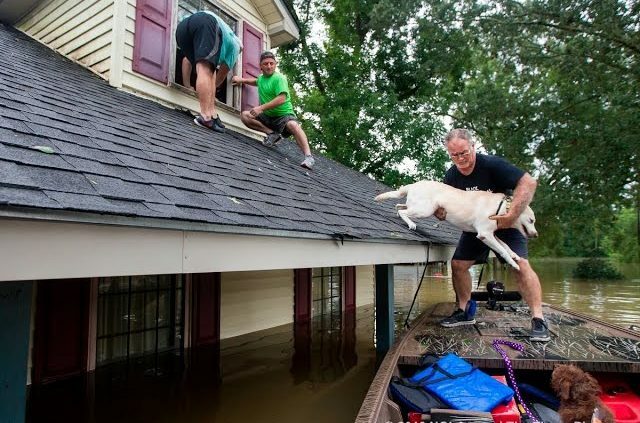 Saturday, as the U.S Gulf Coast got pounded by unprecedented rain and flooding, a group of rescuers pulled a woman and her dog from her car just as it slipped under the floodwaters and sank. 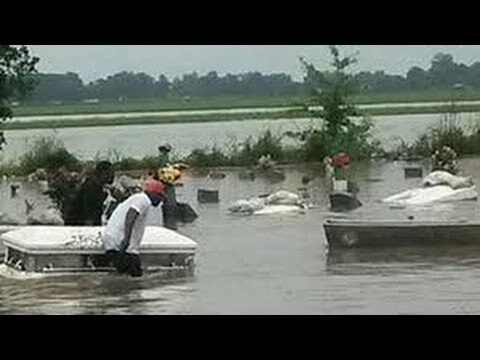 CBS affiliate WAFB Channel 9 reported that three Baton Rouge men in a boat came upon the sinking red convertible car just as it was about to completely submerge. “Get out!” one of the men called to the woman inside. “Oh, my god, I’m drowning!” she cried as the rescuers tried to break the window, then slash open the vinyl top. ne of the men jumped into the water, tore open the roof and was able to haul the woman to safety just as the car disappeared beneath the murky brown water. The man who jumped in the water tried to find the dog below the surface, but couldn’t. “Dude, she’s gone,” says one of the men still in the boat. As the Louisiana floodwaters swallowed Lyn Gibson’s two-story home, she hacked away on a hole near the roof, desperately trying to get to safety. She used a saw, a screwdriver and her feet, knocking her way through wood, vinyl and sheet rock. Eventually, Gibson made it out of her Tangipahoa Parish home with her dogs, and they were all rescued by National Guard soldiers on a boat. It was one of thousands of rescues after a deluge dropped more than a foot of rain on parts of southeast Louisiana, submerging roads, cars and homes. 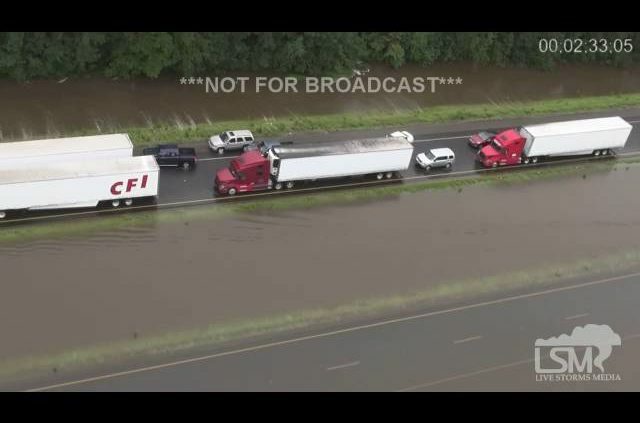 At least three people were killed across the state, and the rescues were continuing late Saturday, including missions by crews in high-water vehicles who went car to car to pluck motorists from a flood-soaked interstate. Maj. Doug Cain from the Louisiana State Police said about 125 vehicles were stranded on a seven-mile stretch of Interstate 12 near Baton Rouge and the occupants were being taken to safety. A woman and her dog have been rescued from a sinking car in Louisiana after the vehicle became submerged in flood water. Footage released by a local news channel shows rescuers on an emergency boat attempting to break the window of the car with a pole as the woman shouts from inside. 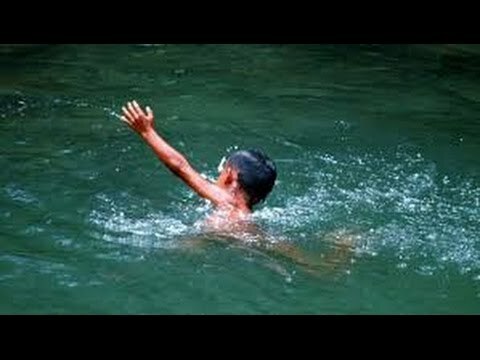 One of the rescuers, David Phung, jumps into the brown water and pulls the woman to safety. 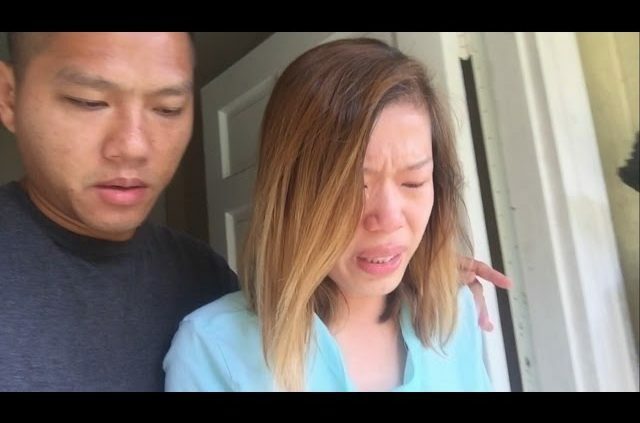 She pleads with Phung to get her dog, but he can’t find it. After several seconds, Phung takes a deep breath, goes underwater and resurfaces – with the small dog. A state police spokesman says authorities are going car to car to rescue people stranded on the Interstate from the horrific Louisiana flooding. Maj. Doug Cain from the Louisiana State Police said about 125 vehicles are stranded on Interstate 12 between Tangipahoa Parish and Baton Rouge. He says most of the vehicles are on a seven-mile stretch of the freeway. Authorities are going in high water vehicles to each car to rescue people and carry them to safety. The people are being taken to a Target store in Baton Rouge where they can either be picked up by family or friends or will be taken to a shelter. Torrential rain has swamped large portions of southeast Louisiana, cutting off roads and highways. 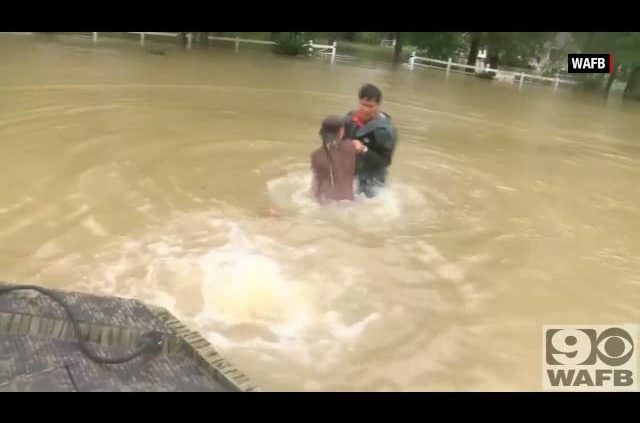 See the view from the boat as off-duty Lafourche Parish Sheriff deputies rescue a family from the rooftop of their flooded home in East Baton Rouge Parish. 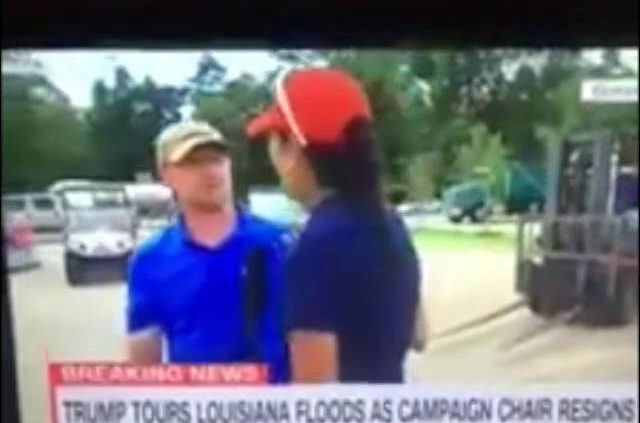 A man is going viral for questioning where Black Lives Matter activists are during the flooding in Louisiana. Jerry L. Washington, a Baton Rouge native, posted a video to Facebook, asking why activists haven’t done anything to help the majority African-American city. “Where are the Black Lives Matter and the Black Panthers?” Washington says in the video. “Because I ain’t seen one Black Panther boat or one Black Lives Matter boat. All I see is our own people from our own city saving us.” — “All the drama that was going on with the Alton Sterling killing, they came out with guns ready to go to war. But here we go, all these people flooded out and truly in need of help and we can’t find not one of them,” Washington says. “If y’all out there, where ya at? Where ya boats? Where ya money? Where ya food? Where ya services at? … Black Lives Matter: Obviously we must matter too much, because I ain’t seen y’all yet, when we really need ya.” The video has quickly gone viral with more than 2.5 million views. Facebook: Jerry L Washington – Where’s the Black Panthers and Black Lives Matter Organizations at now? My dear friend was out delivering food today & came across Mr Roy Johnson at 7650 Hanks St, Baton Rouge LA. 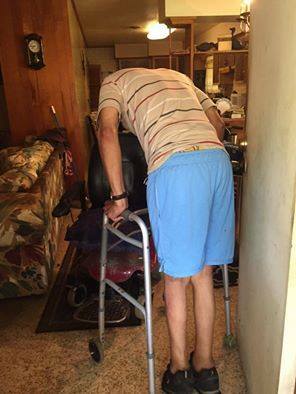 This poor man is sitting in his mold infested house in a wheelchair & has no family and nothing has been touched at his home. 1) We need to get him a safe place to stay. Where are HANDICAPPED folks being housed as far a shelters are concerned? 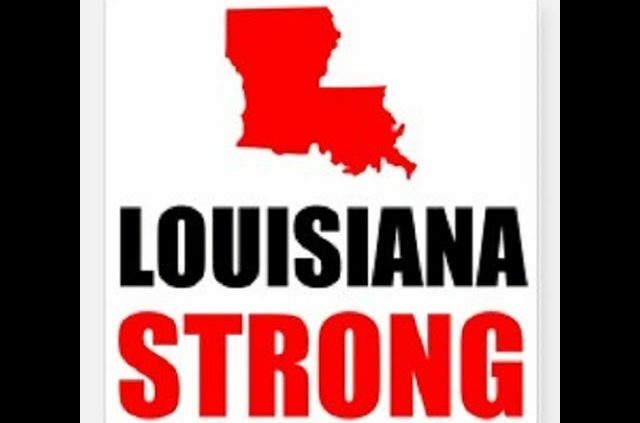 Lafayette, LA–help with laundry, food, supplies, physical labor! On Sunday evening, President Obama officially granted a major disaster declaration request for East Baton Rouge, Livingston, St. Helena, and Tangipahoa parishes. Officials said that more parishes will be added on a rolling basis as more assessments are made. When the President declares a disaster, it makes the way for federal funds to be released including direct assistance from FEMA. 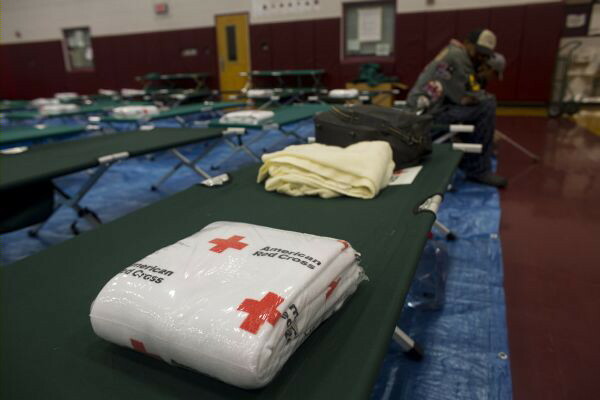 The disaster declaration also paves the way for federal disaster assistance in the form of financial help for the thousands of those affected, but don’t expect to see that immediately, but expect those funds to start flowing soon. Two major highways in Opelousas are closed because of flooding. Police tell us that U. S. 190 East (Vine Street) and LA 182 North (Union Street) are both under water and impassable. Police urge drivers to stay off the road. According to police chief Rickey Boudreaux, the following roadways are closed in the city of Youngsville. Remind residents to stay off of roadways. US-90 about ½ mile south of Morgan St. in Broussard. LA 182 (St. Peter Street) in New Iberia multiple locations. LA 89 @ Raven Rd. 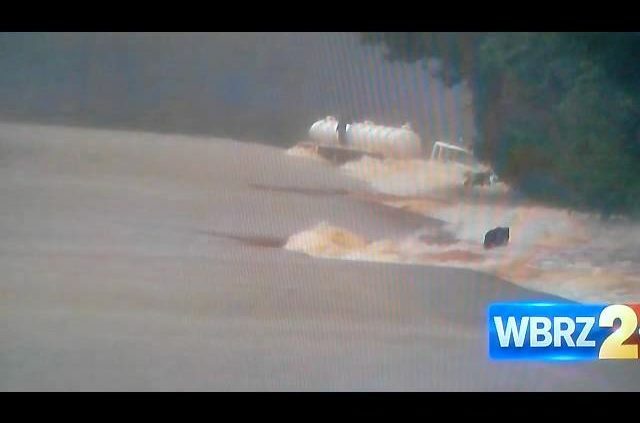 LA 14 ByPass in Abbeville @ North Lahasky & North Broadway St.
LA 694 from LA 82 to Pumping Plant Rd. The death toll continues to rise as Baton Rouge police say they have recovered the body of a woman from inside a flooded vehicle in Baton Rouge. Casey Rayborn Hicks, a spokeswoman for the East Baton Rouge Sheriff’s Office, says witnesses say the woman was seen last night attempting to turn around in high water when her vehicle was swept away. The woman’s name will be released following family notification. 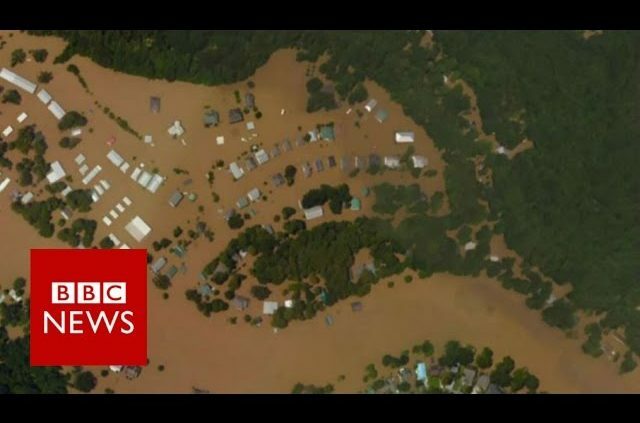 That would appear to raise the death toll from the widespread flooding to five people but officials could not be immediately reached to confirm the numbers. Heavy rains have swollen rivers and caused widespread flooding across southern Louisiana. People are still seeking evacuation and in desperate need of assistance. Need Assistance Getting Clothes Washed? Need Help Getting Clothes Washed? Been Affected by the flooding in Lafayette? 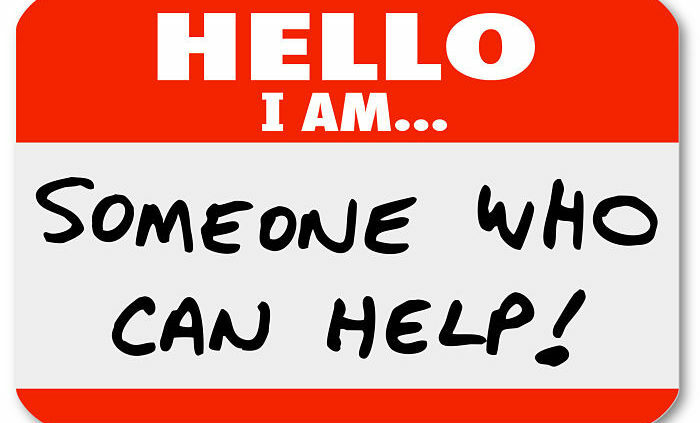 We have a neighbor that can help! If you have been affected by the recent flooding in Lafayette and need some basic help getting your clothes washed, we have a local resident willing to donate their personal washer and dryer to assist. 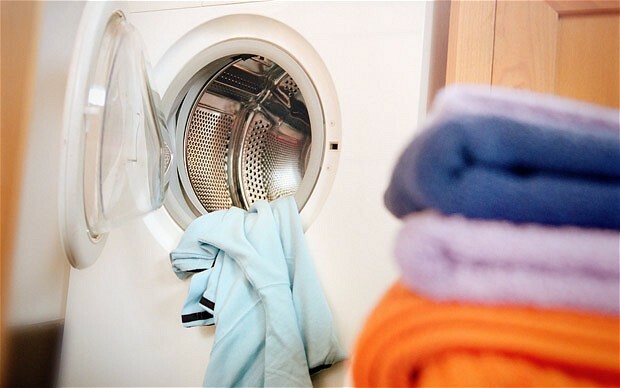 If you are in the Lafayette LA area and are in need of a washer and dryer because of the recent flooding, we can help. http://louisianaflooding.org/wp-content/uploads/2016/08/need-assistance-washing-clothes.jpg 388 620 admin http://louisianaflooding.org/wp-content/uploads/2016/08/Louisian-Flooding-Logo.png admin2016-08-15 03:08:092016-08-15 03:20:14Need Assistance Getting Clothes Washed?